Have you ever thought about the health of your desk? Start by writing your own prescription to create a work environment that can positively affect your own health. It all starts with how you set up your workstation. Think about investing in a great chair, good lighting and maybe even a desk that moves the way you do. State-of-the-art technology is making furniture more responsive and accessible than ever before for the average consumer. If you’re thinking about making some changes to your workstation, then consider these three easy ways to give your desk a healthy tune-up. Nutritionists always tell us, “you are what you eat!” Well, I like to say “you are where you sit!” A great ergonomic chair can play a big part in how your body will feel during the day. If your’e wondering whether or not you need a new chair, then ask yourself these questions: does your back hurt after a long day of sitting? Do you feel your current chair is suited to the way you work? Is your chair broken and you’re just making do? Start searching for a new chair now if you answered “yes” to any of these questions. 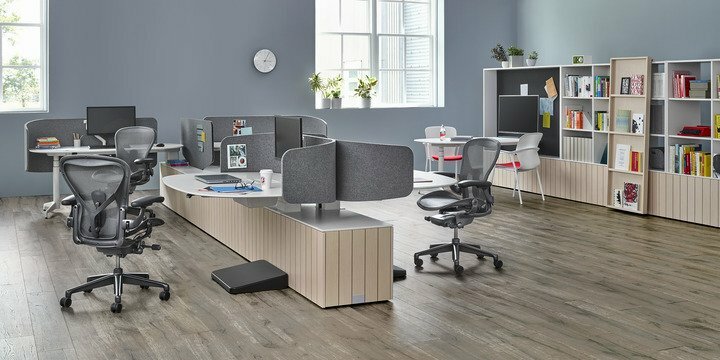 The top-selling chairs at Workspace Group (WSG) are: Herman Miller’s Aeron Chair, the Embody Chair and the Sayl Chair. 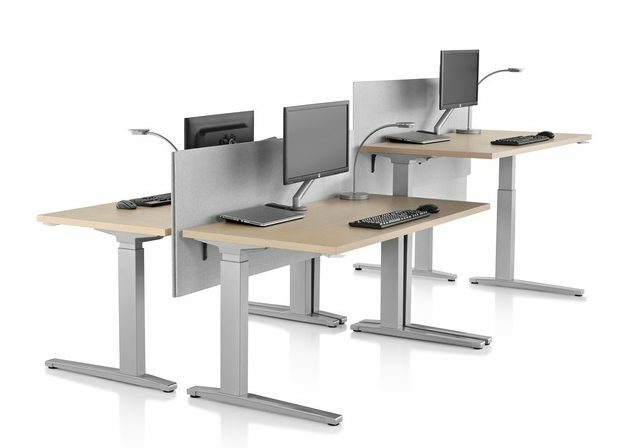 It would be fair to say that many of our clients have specified the new sit-to-stand desks, especially when re-doing their office environments. The health benefits are undeniable, as the combination of sitting, standing, and moving in varying amounts is vital, when you consider how long you sit at your desk. But beware – not all of these desks are created equal. Naturally, there are less expensive versions, and like anything else, you get what you pay for. When investing in a sit-to-stand desk, buy from a well-recognized manufacturer offering a solid warranty. Our choices: the Renew Sit-To-Stand Table or Motia Desk – both by Herman Miller. When your mother told you eating carrots was good for your eyes, she probably also knew that good lighting was important too. Overhead office lighting may not provide all the individual light you need. Look for a desk lamp that works as hard as you do – preferably one that is multifunctional, allows you to adjust the brightness and has extra power outlets. 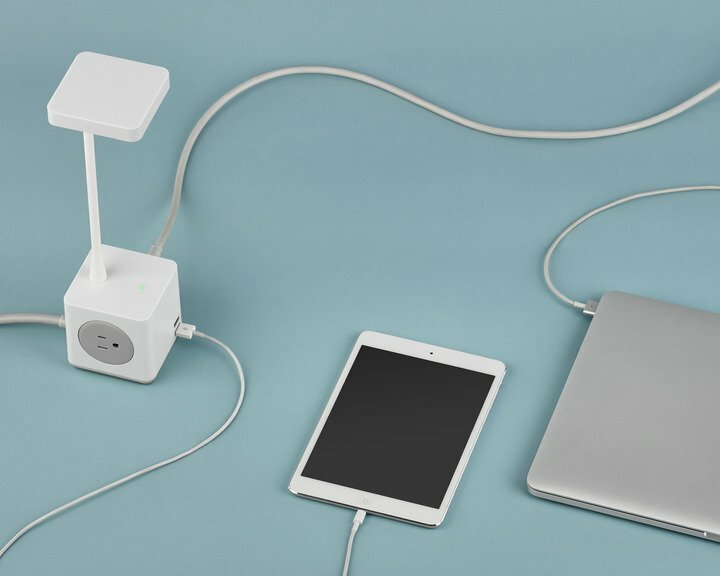 Our choice: the Cubert Personal Light with integrated AC sockets that supply up to 13 amps, and the USBs charge up to two amps between them. 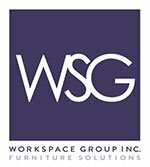 If you’re looking for a ‘health assessment’ for your existing workstation layout, or you want to start from scratch, make an appointment with one of the Account Managers at Workspace Group (WSG). Mitchell Cohen is the Founder and Dealer Principal of Workspace Group (WSG).